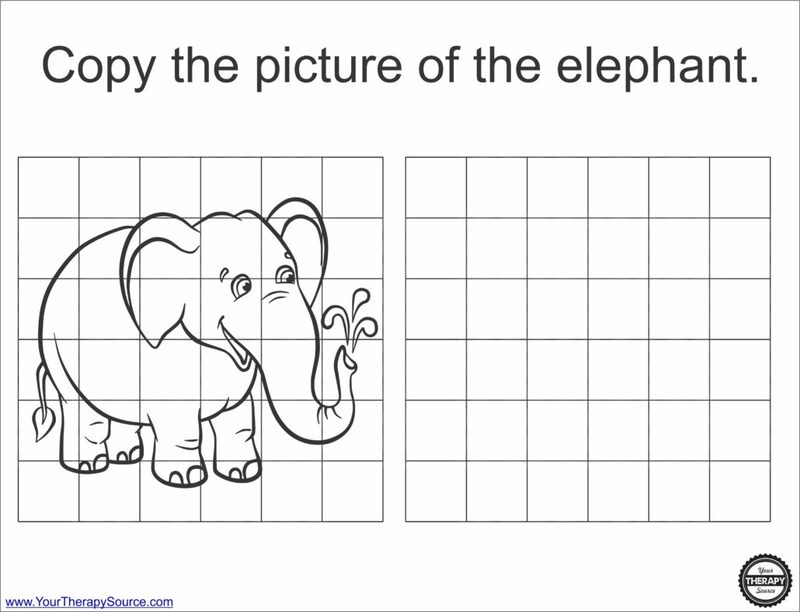 Copy the Elephant – download this activity to practice visual motor skills. There are two versions – easy: copy the entire elephant and hard: complete the elephant picture. There are more spatial reasoning activities included in the Grid Drawing download (or just grab another freebie). 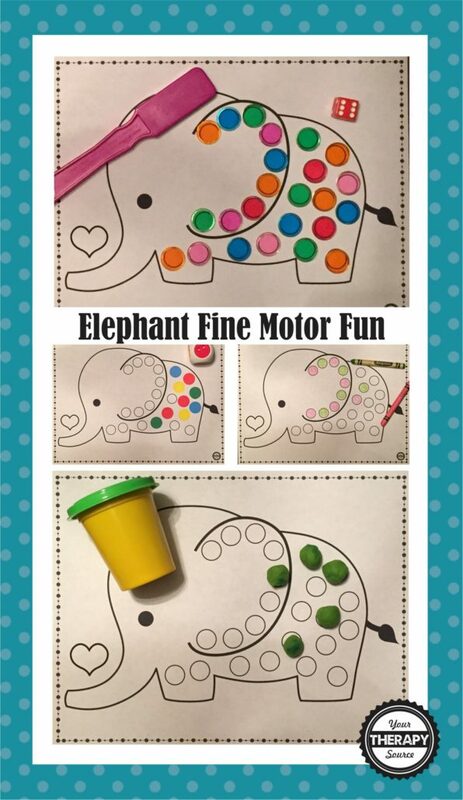 Elephant Fine Motor Game – download this activity to practice fine motor skills, math skills and finger strengthening if you use play dough. 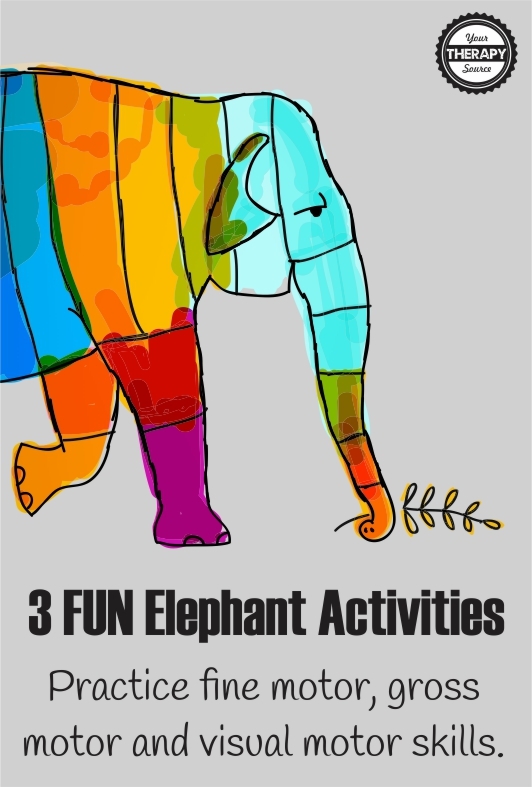 Elephant Gross Motor Activity – here is a fun brain break from Just Dance Kids. It starts off with a monkey dance but keep dancing and you will soon be acting like an elephant. Need more brain breaks? Check out Your Therapy Source.